Webb believed that NASA had to strike a balance between human space flight and science because such a combination would serve as a catalyst for strengthening the nation's universities and aerospace industry. 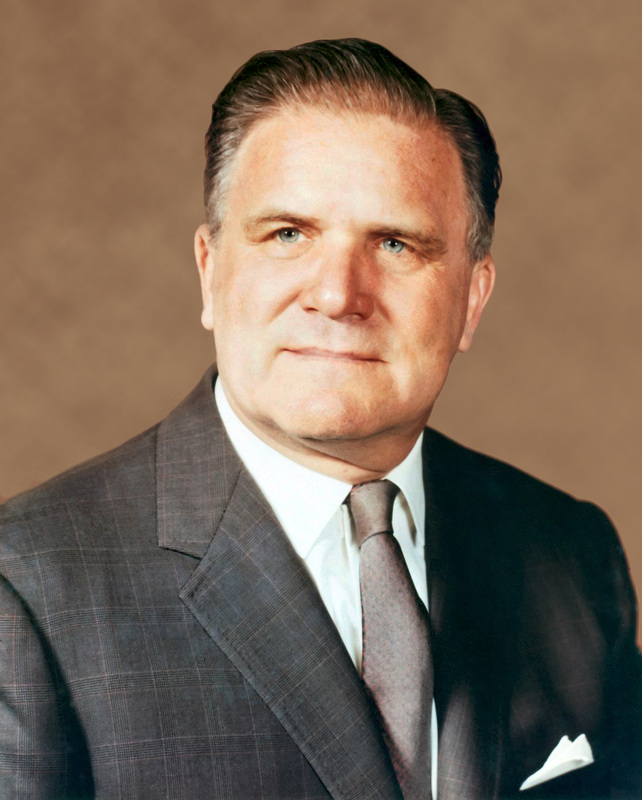 James E. Webb ran the fledgling space agency from February 1961 to October 1968. He believed that NASA had to strike a balance between human space flight and science. Yet, many believe that James E. Webb, who ran the fledgling space agency from February 1961 to October 1968, did more for science than perhaps any other government official and that it is only fitting that the Next Generation Space Telescope would be named after him. Webb's record of support for space science would support those views. Although President John Kennedy had committed the nation to landing a man on the moon before the end of the decade, Webb believed that the space program was more than a political race. He believed that NASA had to strike a balance between human space flight and science because such a combination would serve as a catalyst for strengthening the nation's universities and aerospace industry. As part of an oral history project sponsored by the LBJ Library in Austin, Texas, Webb recalled his conversations with Kennedy and Vice President Lyndon Johnson. He was quoted as saying in one transcript, "And so far as I'm concerned, I'm not going to run a program that's just a one-shot program. If you want me to be the administrator, it's going to be a balanced program that does the job for the country..."
Webb's vision of a balanced program resulted in a decade of space science research that remains unparalleled today. During his tenure, NASA invested in the development of robotic spacecraft, which explored the lunar environment so that astronauts could do so later, and it sent scientific probes to Mars and Venus, giving Americans their first-ever view of the strange landscape of outer space. As early as 1965, Webb also had written that a major space telescope, then known as the Large Space Telescope, should become a major NASA effort. By the time Webb retired just a few months before the first moon landing in July 1969, NASA had launched more than 75 space science missions to study the stars and galaxies, our own Sun and the as-yet unknown environment of space above the Earth's atmosphere. Missions such as the Orbiting Solar Observatory and the Explorer series of astronomical satellites built the foundation for the most successful period of astronomical discovery in history, which continues today. Webb supported science behind the scenes, as well. Shortly after assuming the job vacated by Keith Glennan, Webb chose to continue the same basic organization that his predecessor had adopted for the selection of science programs. However, he enhanced the role of scientists in key ways. He gave them greater control in the selection process of science missions and he created the NASA University Program, which established grants for space research, funded the construction of new laboratories at universities and provided fellowships for graduate students. The program also encouraged university presidents and vice presidents to actively participate in NASA's Space Science Program and to publicly support all of NASA's programs. This record of accomplishment is perhaps more notable given Webb's initial reluctance to accept the job. An experienced manager, attorney and businessman, the North Carolina native had served as Director of the Bureau of the Budget and as Undersecretary of State in the Truman administration. Webb also served as president and vice president of several private firms and served on the board of directors of the McDonnell Aircraft Company. He was not, however, a scientist or engineer-something he noted when President Kennedy asked him to consider the job as NASA Administrator. He told an interviewer that, "I felt that I had made the pattern of my life, and I was not really the best person for this anyway. It seemed to me someone who knew more about rocketry, about space, would be a better person." Kennedy did not see it that way. With his keen political savvy and exceptional managerial skills, Webb was perfect for the job, the President believed. He made it clear to Webb that the NASA Administrator's job was a policy job. He needed someone who could handle the large issues of national and international policies. The scientific community was equally anxious about Webb. The scientists at NASA Headquarters had wanted someone with a keen interest in space science and a desire to bolster the involvement of universities in the space program. Within a few months, Webb proved where he stood. At the height of the Apollo program, NASA had 35,000 employees and more than 400,000 contractors in thousands of companies and universities across the U.S. Under Webb's direction, the agency undertook one of the most impressive projects in history-landing a man on the moon before the end of the decade. As NASA Administrator Sean O'Keefe said when he announced the new name for the next generation space telescope, "It is fitting that Hubble's successor be named in honor of James Webb. Thanks to his efforts, we got our first glimpses at the dramatic landscape of outer space. He took our nation on its first voyages of exploration, turning our imagination into reality. Indeed, he laid the foundations at NASA for one of the most successful periods of astronomical discovery. As a result, we're rewriting the textbooks today with the help of the Hubble Space Telescope , the Chandra X-ray Observatory , and the James Webb Telescope." Watch a lecture on James Webb by science writer Piers Bizony. Audio and transcript of a historic 1962 meeting between President John F. Kennedy, NASA Administrator James Webb, Director of the Bureau of the Budget David Bell, and several other people to discuss the human spaceflight program.